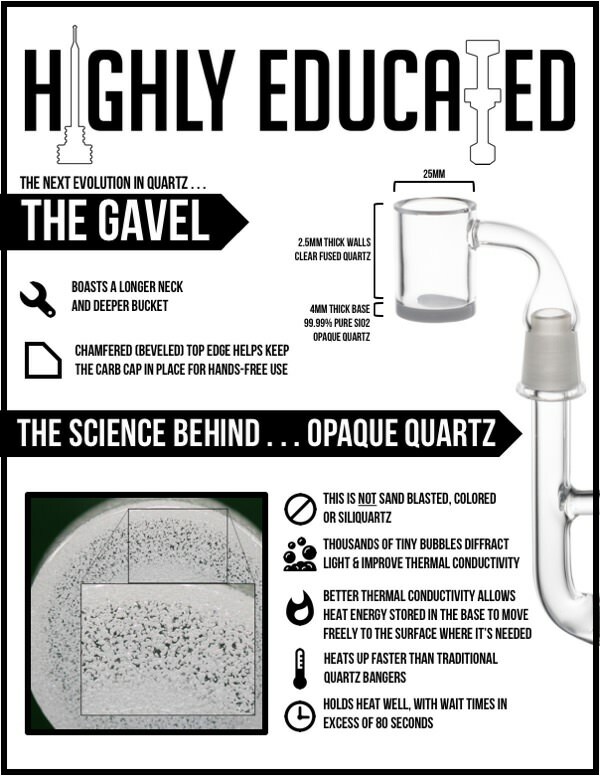 Introducing the Gavel, an opaque bottom quartz banger style nail from Highly Educated. For fans of both the banger style and the flavor that our opaque material offers. This nail features a 4mm thick layer of our 99.99% pure SiO2 opaque quartz on bottom with 2.5mm thick clear fused quartz walls and a 25mm diameter bucket. The opaque floor heats up much faster than traditional clear fused quartz, but can still hold heat well exhibiting wait times in excess of 80 seconds.